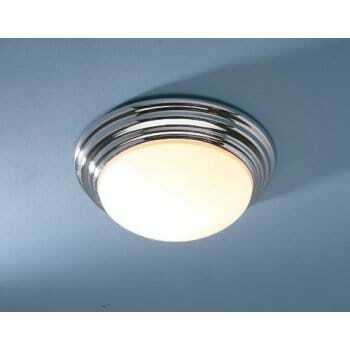 Dar Lighting Barclay large flush ceiling fitting features polished chrome edge detail and an opal diffuser. There is a larger ceiling fitting and wall light to match. The product code for this Dar ceiling fitting is BAR5250.